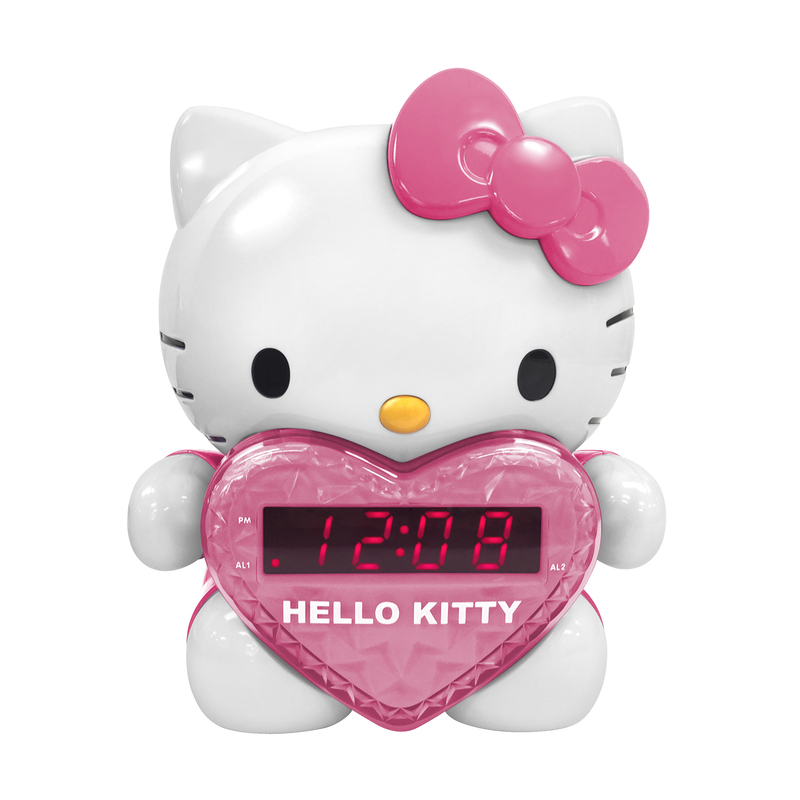 Wake and see the adorable Hello Kitty, and the time, on your wall or ceiling from this projection clock radio. 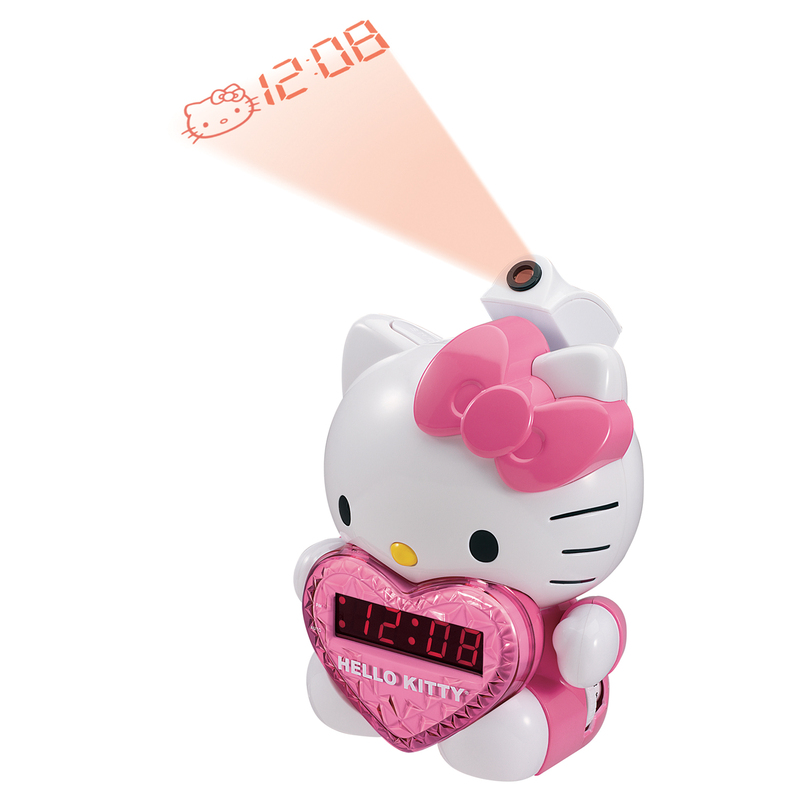 The projector lens swivels up to 120 degrees, has a focus control for clarity, and can be folded away when not in use. 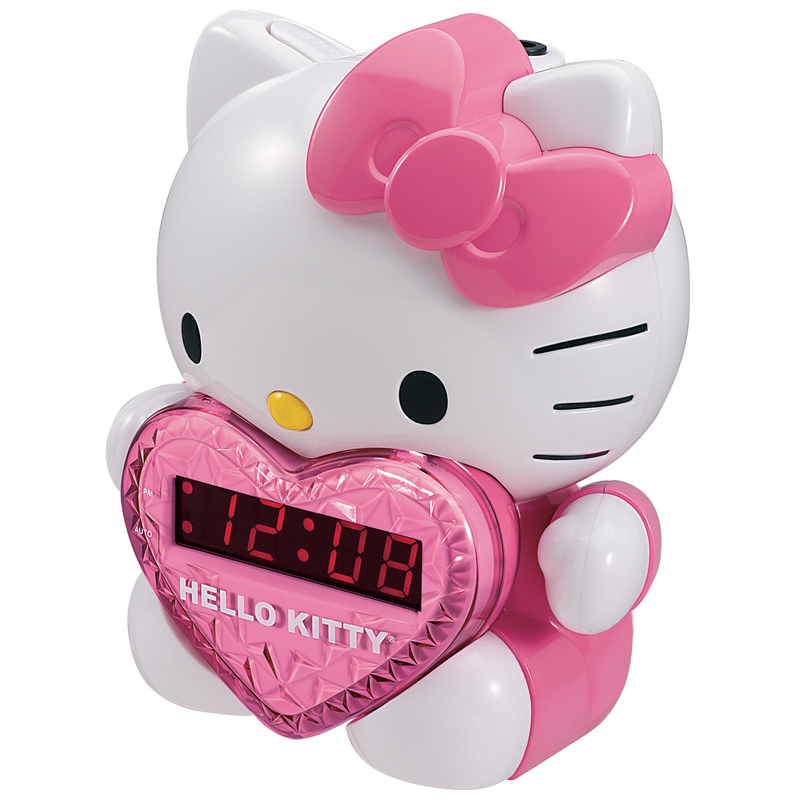 Wake to your favorite radio station or the alarm when you need that extra push. 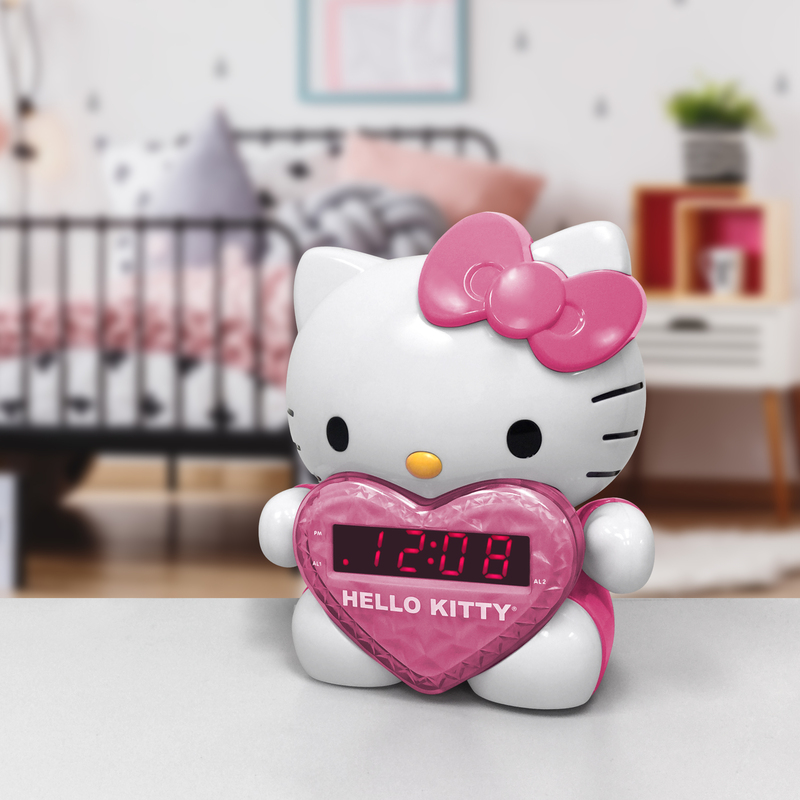 There is a snooze function for when you catch a few extra minutes sleep in the morning. 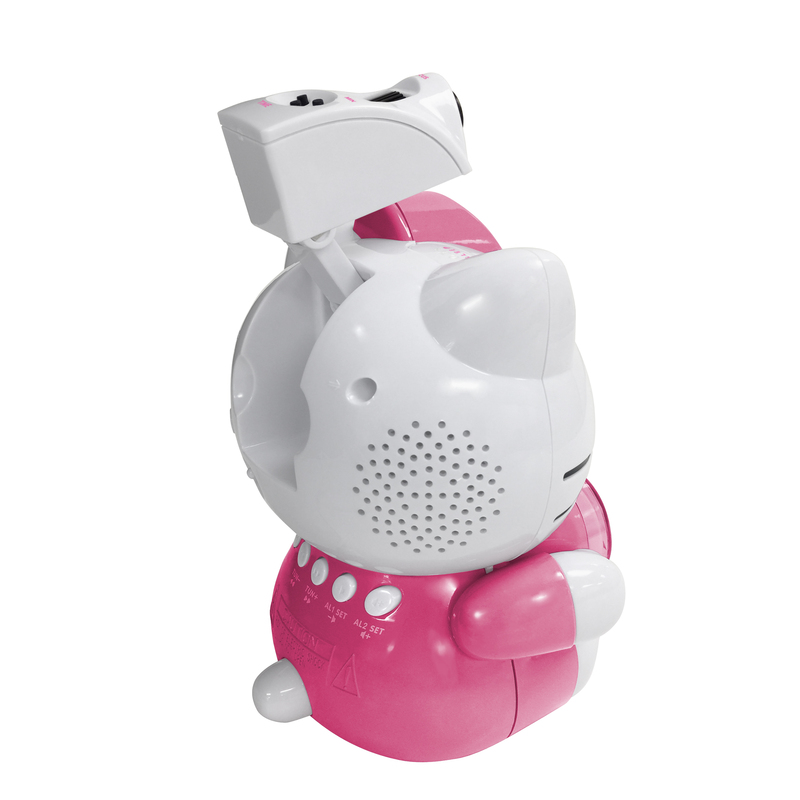 Using the sleep mode allows the radio to turn automatically in case you fall asleep earlier than expected.